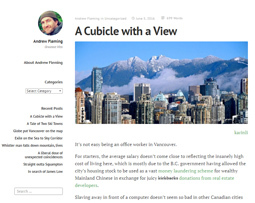 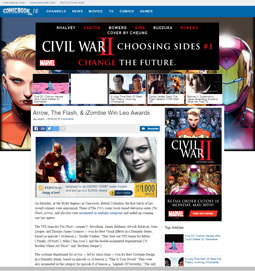 Click on the images to visit the original source pages. 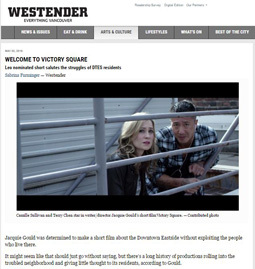 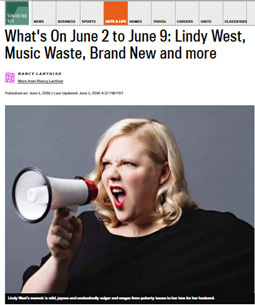 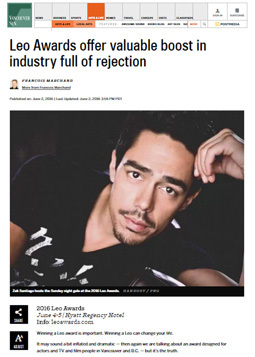 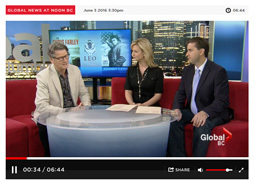 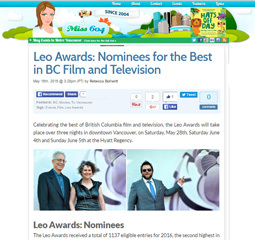 stars in BC TV & Film about the booming industry. 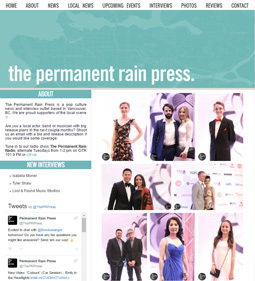 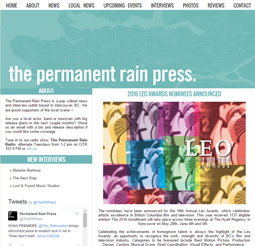 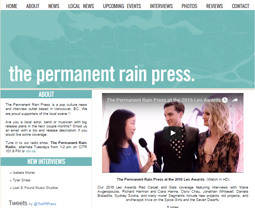 The Permanent Rain Press at the 2016 Leo Awards. 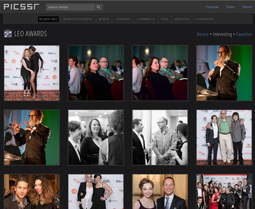 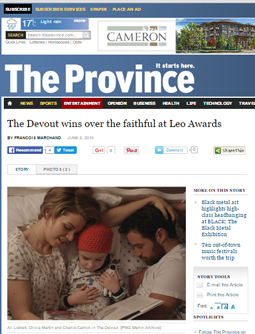 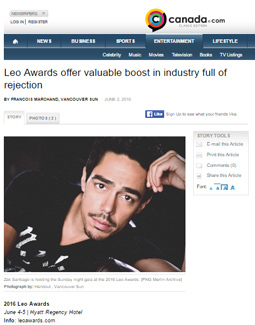 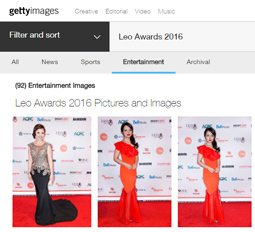 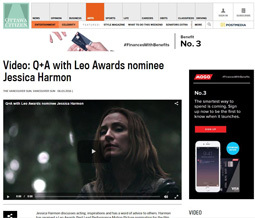 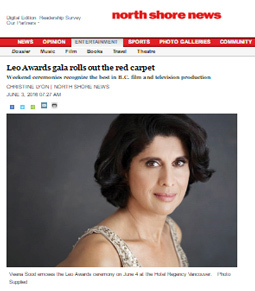 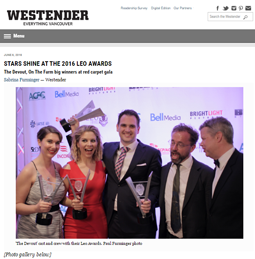 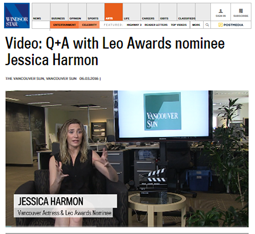 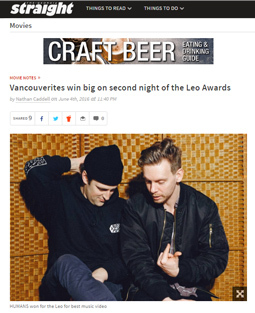 Vancouverites win big on second night of the Leo Awards. 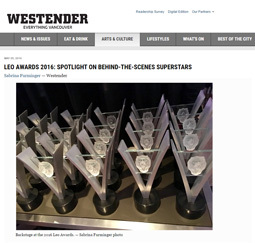 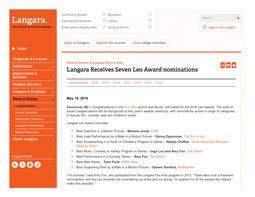 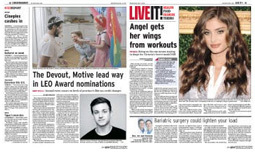 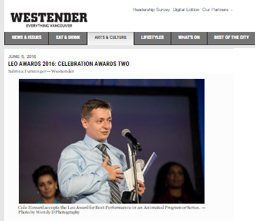 See the full list of award-winners here. 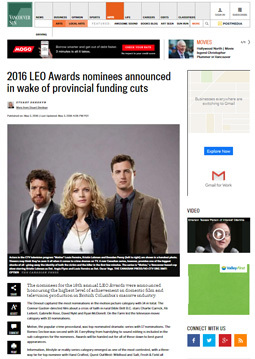 Congratulations to DOC BC members Derik Murray (Johnny Cash: American Rebel), Pete McCormack (Sports on Fire) and their teams on their Leo Awards! 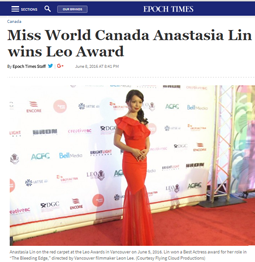 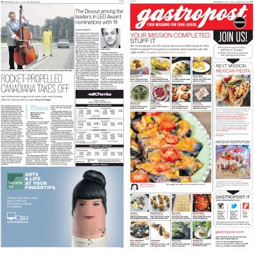 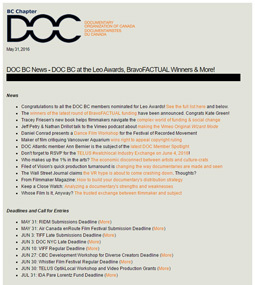 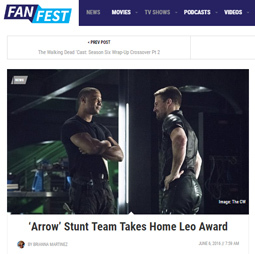 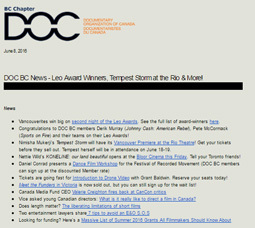 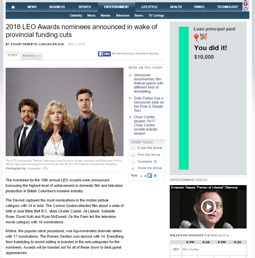 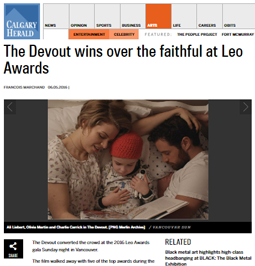 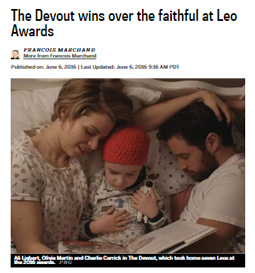 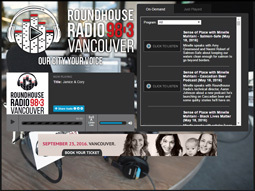 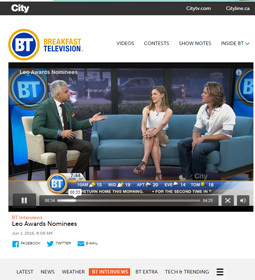 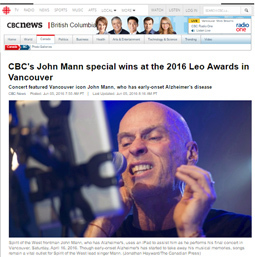 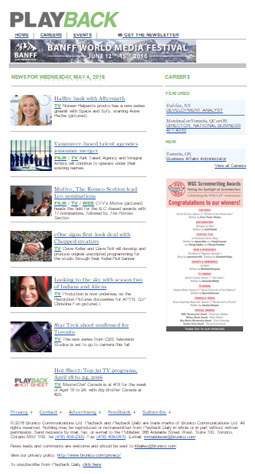 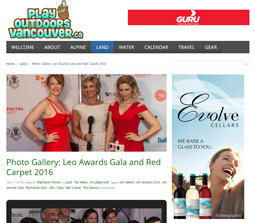 DOC BC News - DOC BC at the Leo Awards, BravoFACTUAL Winners & More! 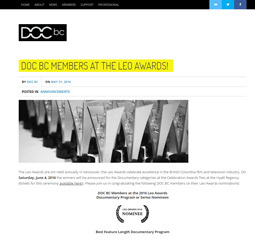 DOC BC MEMBERS AT THE LEO AWARDS! 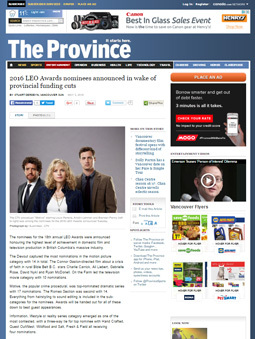 FILM / TV / WEB CTV's Motive (pictured) heads the field for the B.C.-based awards with 17 nominations, followed by The Romeo Section.